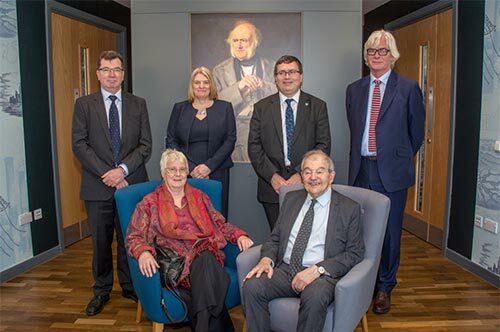 Left to right: Professor Garry Pender, Deputy Principal Research and Innovation (HWU); Liam McArthur MSP; Dr Tracy Shimmield, Lyell Centre Director; Professor Malcolm Chrisp, Head of School of Energy, Geoscience, Infrastructure and Society, Heriot-Watt University. Everyone is welcome to attend the Lyell Centre lectures and seminars. This diary is constantly updated, so keep checking back for your topic of interest! 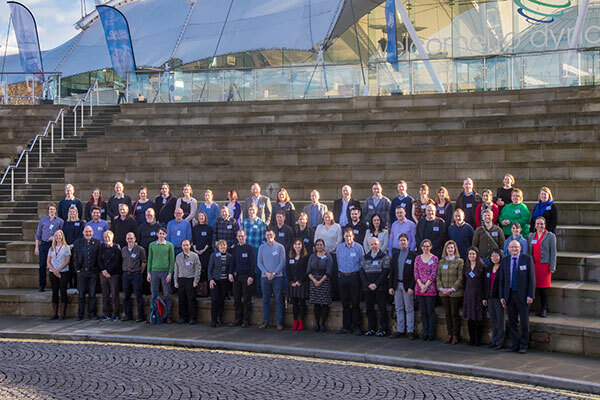 The Lyell Centre is delighted to host this year's British Sedimentological Research Group's annual general meeting in Edinburgh, which will see around 300 delegates from across the UK and beyond gathering to discuss their work. Starting on Monday 17th December and running over four days, the visiting scientists will get an opportunity to learn about the fascinating and complex geology the region offers through field trips and share their work with their peers from other universities and institutions during workshops and talks. The annual BSRG conference brings together a whole range of sedimentologists working on a wide variety of fields including deep-sea sediments, carbon burial and diagenesis, continental drainage systems and this year for the first time a special session on sedimentology and society. It is a great opportunity for young researchers to present their work and get essential feedback from leading academics. The meeting is also an excellent opportunity for the fostering of new research ideas and future collaborations. The Lyell Centre opens its doors to the public on Saturday 29 September 2018, 10am - 4pm, as part of the Doors Open Days programme co-ordinated by the Scottish Civic Trust. 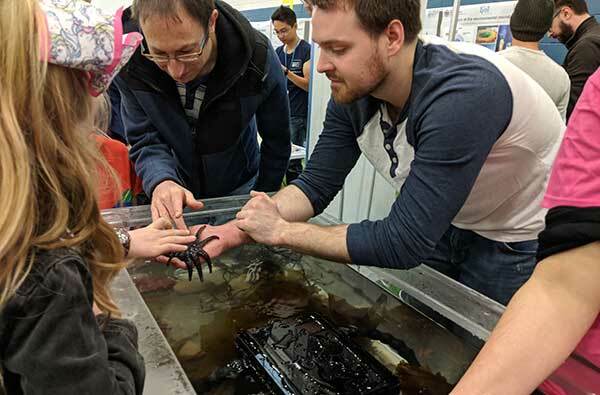 Robots, smartphone microscopes, a marine touch tank, dinosaurs and a 3D visualisation suite are just some of the amazing things you can encounter, when Scotland's marine and earth science centre opens its doors! 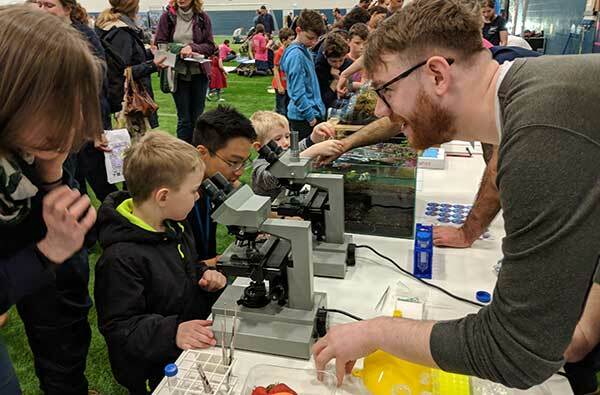 Our scientists will be on hand to chat about their research, and there will be a variety of short talks plus lots of hands-on activities to get involved with. Talks will be held and can be booked at the venue on the day. There will also be tours available of the new robotic assisted living lab! After successful edition of the video-contest 'On the rocks' in 2017, the Italian Geological Society just launched the 2018 edition. 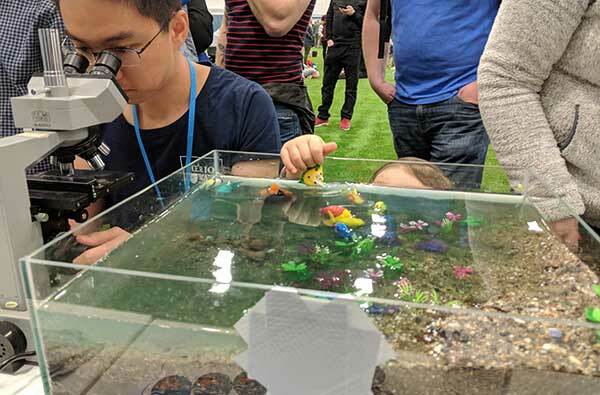 On the rocks is dedicated to 'geology' as seen by a broad audience of 'geologists', from students to scientists, but also to professionals or amateurs. A special category is dedicated to PhD students. The idea is to share, promote and disseminate our passion for the Earth across disciplines, education, countries. We look for creative, informal videos, where stories are illustrated in only 180 seconds. We look forward to building a videomaker community for disseminating geosciences. 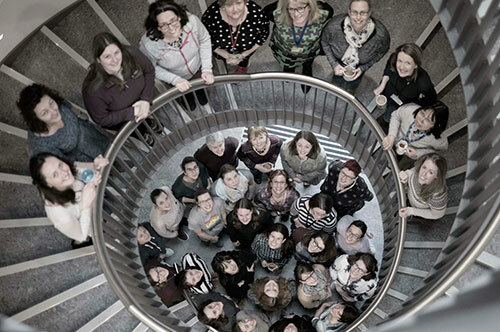 On 8 March 2018, the Lyell Centre celebrated International Women's Day. It is a global day celebrating the social, economic, cultural and political achievements of women. The day also marks a call to action for accelerating gender parity. Women from across the Lyell Centre have taken the time to inspire the next generation. 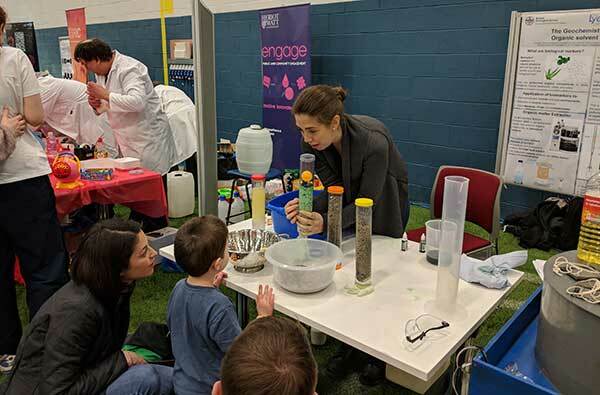 More than 70 research leaders from Heriot-Watt University and the British Geological Survey have taken part in a 'Research Connect' event as part of the research and innovation activities of the Lyell Centre. The 57th BSRG Annual General Meeting will be held in the city of Edinburgh from 16–19 December 2018. 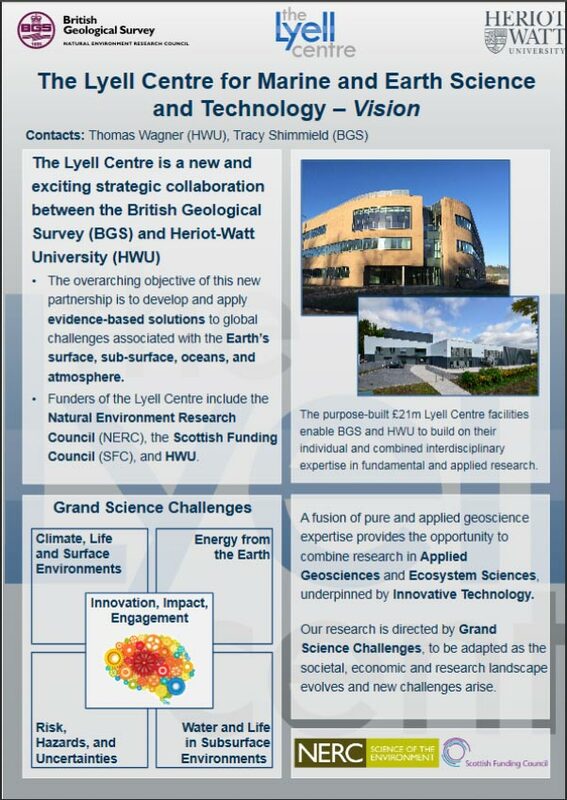 This is a joint invitation from Heriot-Watt University (HWU), the British Geological Survey (BGS Edinburgh) and the newly-formed Lyell Centre. In addition to the complete range of sedimentary topics, we will offer a special focus on 'Applied Sedimentology for the 21st Century'. 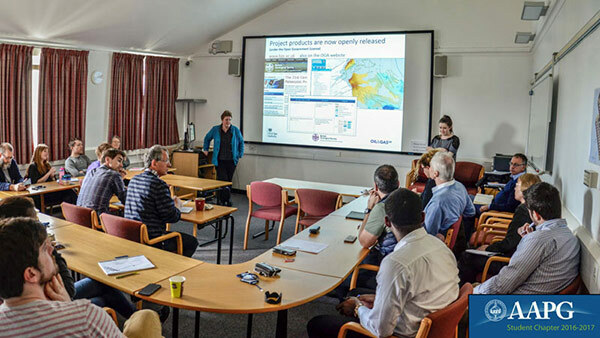 8 May 2017: Students and staff members from Heriot-Watt Institutes of Petroleum Engineering (IPE) and Life & Earth Sciences (ILES) joined members of the British Geological Survey (BGS) to attend an AAPG Student Chapter Chapter Distinguished Lecture Series presentation delivered by BGS Geologist, Dr Alison Monaghan on 24 April. Find out more about the 21st Century Exploration Roadmap (21CXRM) Palaeozoic Project. Lyell Research Fellow Dr Babette Hoogakker was awarded the Philip Leverhulme Prize in October. The Philip Leverhulme Prize recognises the achievement of outstanding researchers whose work has already attracted international recognition and whose future career is exceptionally promising. Dr Hoogakker has received £100,000 which can be used over two or three years to advance her research. She intends to use the money towards a studentship. Please see our Vacancies page for the link to the PhD project: "Ocean carbon cycling, novel insights from planktonic foraminifera". 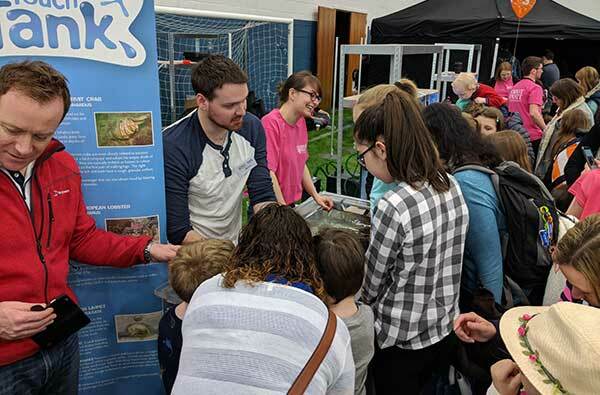 Two Heriot-Watt students from the Lyell Centre are on a voyage of discovery to the deep sea and are blogging about it as they sail 7000 miles from Ecuador to Fiji to study deep sea scavengers in an area targeted for deep sea mining. Researchers at the Lyell Centre and the Institute of Petroleum Engineering have been awarded €1M to analyse and quantify CO2 leakage risks during carbon capture and storage (CCS). 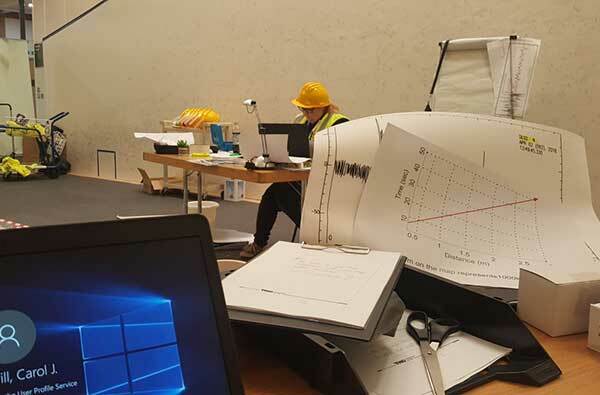 The DETECT project, in partnership with Shell, RWTH Aachen University and Risktec Solutions, will integrate laboratory, field, model and reservoir scale understanding of these risks with a total funding volume of €2.7M. 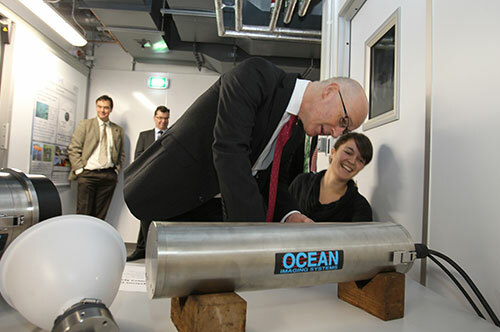 This project is part of the growing Geoenergy initiative in collaboration with the British Geological Survey and the Lyell Centre for Earth and Marine Science and Technology, where we are mapping our existing petroleum engineering and geoscience expertise to new subsurface energy production and storage challenges, to support the transition to a sustainable low-carbon energy society. 23 February 2017: Deep oceans face starvation by end of century. 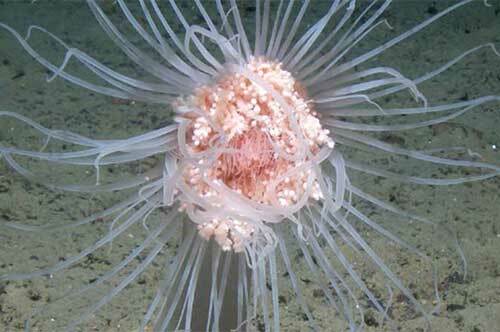 The deep ocean floor, earth’s largest habitat, will be starved of food by the end of this century, scientists have warned. "The rate of change underway in our oceans is faster than at any point we know of in geological history." Lord Charles Lyell, third Baron Lyell of Kinnordy, has passed away following a period of illness, aged 77. A long standing member of the House of Lords, Lord Lyell served as a House of Lords Whip and then Parliamentary Under-Secretary of State Northern Ireland Office from 1979–89. Lord Lyell and the Gifford family loaned Heriot-Watt University the bust of Charles Lyell, his microscope and geological specimen cabinet, all of which are on display in the Lyell Centre for Marine and Earth Science and Technology. A lover of football, Lord Lyell was a keen supporter of his local football team, Forfar Athletic. A hereditary peer, Lord Lyell took the title aged four when his father was killed in action during World War 2; the Barony becomes extinct after Lord Lyell’s passing. His funeral will be in Kirriemuir on Tuesday 24 January at 11.00 am. We extend our condolences to the Lord's family and friends. 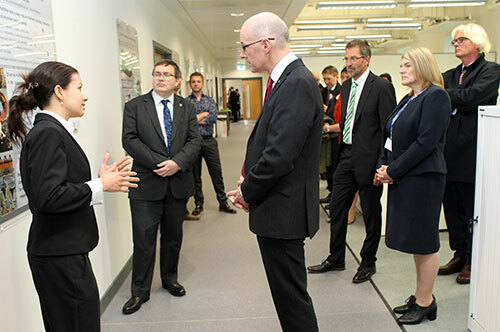 Chancellor of the Exchequer visits The British Geological Survey in Scotland. 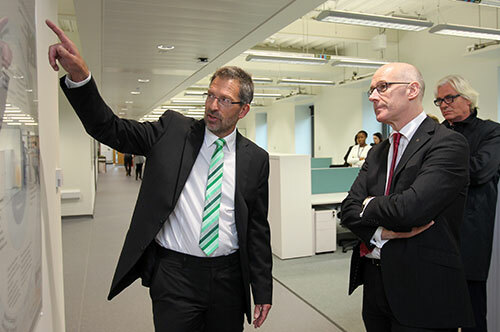 In pictures: Chancellor of the Exchequer's visit to see the RD2. The Chancellor of the Exchequer, The Rt Hon Philip Hammond MP, visited The British Geological Survey (BGS) at The Lyell Centre in Edinburgh on 01/12/2016 as part of his visit to Scotland. 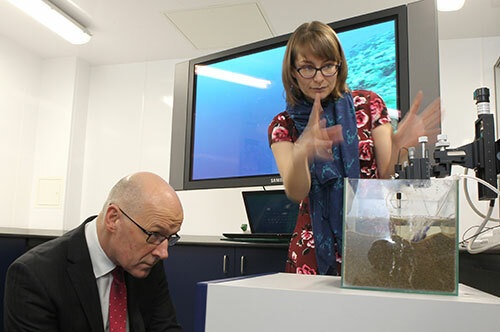 The visit, which followed an extra £800 million infrastructure funding for the Scottish Government, took part in the brand new George Bruce Building which houses the state of the art Rock Drill 2 (RD2). The Lyell Centre was officially opened on 18 October 2016 by John Swinney, the Deputy First Minister of Scotland. Here are the posters created for The Lyell Centre opening event that show some of the research areas the centre will be focusing on. 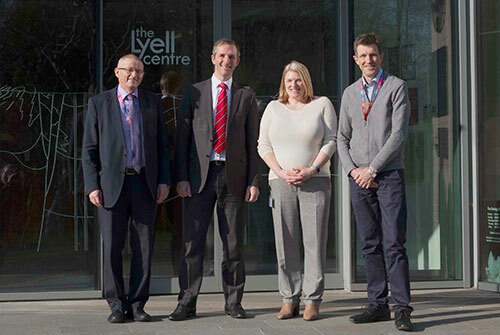 New video describing The Lyell Centre, which is based in a purpose-built facility at the Riccarton campus of HWU on the western outskirts of Edinburgh. 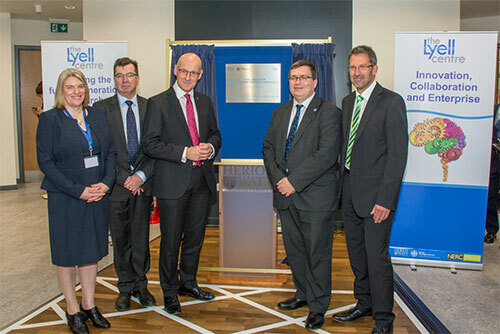 Deputy First Minister of Scotland John Swinney opens The Lyell Centre.